Following up on our successful outing into Zul'Aman on Saturday, the Gold Team returned on Wednesday. 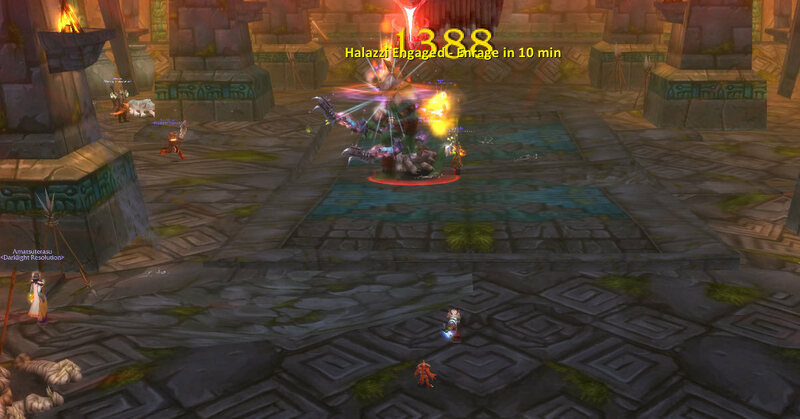 The instance was fresh and we were ready to go and finally get Nalorakk down in 20 minutes. Unfortunately, it just wasn't our time. On the last pull before Nalorakk, my sheep broke really early, immediately lay down an immunity totem and I couldn't resheep him. With the immunity totem out, none of the other mobs went down and I was immediately killed by lightning bolts. We quickly ran back in, but we were about 5 minutes too late after we one shot Nalorakk. We continued on, had a little problem with the gauntlet (we made it through in one run, but I didn't survive the whole way through - nor did Nefernetcher - the perils of AOE'ing the eagles down). 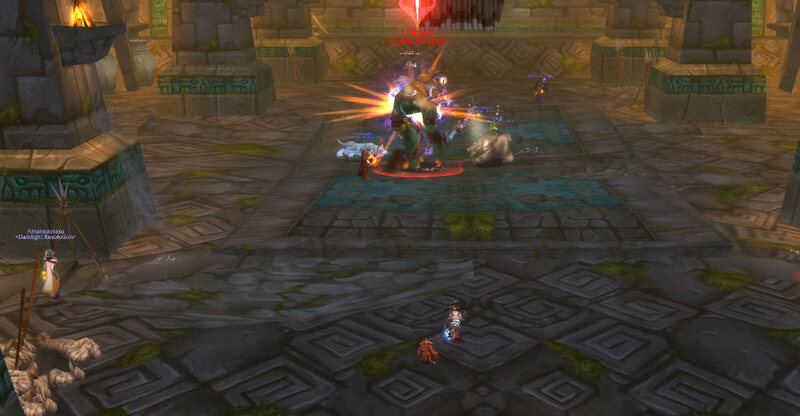 Once at Akil'zon, we one shot him - our first time ever and we were prepared to head towards Halazzi. We quickly cleared to Halazzi without incident - I got to enjoy a 300% haste bonus a couple times as well - and we strategized our meeting with him. As this was only the second time we had ever faced him, we went over everything in meticulous detail. On our first attempt of the night, we got him to Phase 3, but when a healer went down, all was lost. We quickly regrouped, talked about what could be done differently and what we saw going on in that first attempt and we downed him the next time through! In just three meetings with Halazzi, he was down. Our healers did an amazing job with the Holy Fires, DPS did great with the totems and we have made progress once again in Zul'Aman. He dropped a healing leather item, but our tree was already wearing the Robes of Heavenly Purpose, but we forced the leather item on him anyways. The one great drop of the evening was Akil'zon's Talonblade which went to our main tank, Aracely. I quickly put Mongoose on it (oddly enough I was walking around with enough mats) and the blade seemed to work quite well on Halazzi as I was unable to pull aggro even without Salvation on (if I really tried though, I probably could have). Later today...my first add-on spotlight post - why not since everyone else seems to be doing them?